You have no doubt been in a situation where you’ve had to slam on your brakes, thankful that they work so well. Applying your vehicle's brakes is an example of stopping kinetic energy, which is present when your car is moving. Most automobiles today have anti-lock brakes. The ABS, or anti-lock braking system, is a four-wheel system that modulates braking pressure automatically during a quick stop. When the brakes are engaged, fluid is forced through a set of valves from a master cylinder, causing pressure that is transmitted to the hydraulic control units at each wheel. 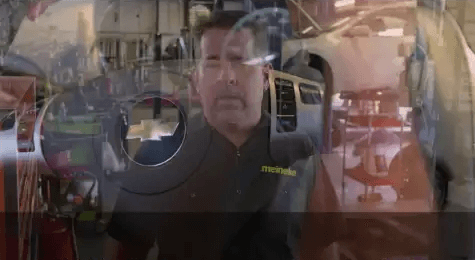 You can learn more about ABS from the pros at Meineke #975 in Bakersfield, CA. Anti-lock brakes offer many benefits to drivers. The key advantage is that ABS brakes allow you to more safely stop in slippery conditions. Some drivers rely on their ABS brakes to help them stop within a shorter distance as well. Although an ABS system cost does add to the price of repairs, the technology is standard on most vehicles now. Without this system, you may lose money during the resale of your vehicle. The professional technicians at Meineke #975 in Bakersfield, CA repair and install ABS brakes and we offer silicone brake fluid and mineral brake fluid to maintain your system. Drive safely on icy, snowy, and wet roads any time of year. If you notice any of the signs of impending brake failure, do not continue to drive your car. Common signs include a lit ABS light, clicking or grinding noises while braking or a pulsation of the pedal when braking. You should also have your brakes inspected if you notice that your car is taking longer to come to a stop or pulls to one side when braking. Other red flags include increased drag when accelerating or lack of resistance when pressing on the brake pedal. 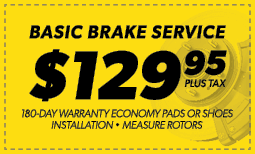 For ABS brake service and all types of brake repairs, visit Meineke #975 in Bakersfield, CA. Your first consideration before driving a vehicle should always be safety, especially when you are transporting passengers. The anti-lock brakes often put up the first red flags that your car is in need of maintenance. That funny scraping sound you hear could be an early warning sign of trouble. Your brake pads may be wearing down and if you let the problem go too long, safety might become a very real concern. In addition, worn brake pads can lead to further vehicle damage. Nip these concerns in the bud by taking your car or truck to Meineke #975 in Bakersfield, CA, for ABS brake service. 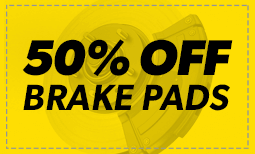 If you are accustomed to bringing your vehicle in to Meineke #975 in Bakersfield, CA, for routine inspection of your anti-lock brakes, you already know that this represents big cost savings. You might need a minor part or some brake fluid added to the system, and this kind of service can be done quickly and inexpensively. If, however, you have worn brake pads, replacement will be required and you should have that done as soon as possible. Brakes of any kind are designed to wear out, and brake pads are only one component that might need replacing. We will assess any brake problems you’re having and recommend the most appropriate solution. Scheduling an inspection for your anti-lock brakes at regular intervals is the best way to keep repair costs from mounting. Remember that service may be as simple as adding brake fluid, a component that costs just a few dollars. Silicon brake fluid and mineral brake fluid are widely available, and they may be among the products used by Meineke #975 in Bakersfield, CA, when you come in for ABS brake service. The specialists here can diagnose any brake problems you might be having and resolve the issues promptly in order to save you greater expense down the road.